The Europe briefings offer regional networking and bring the latest Council offerings to your doorstep. 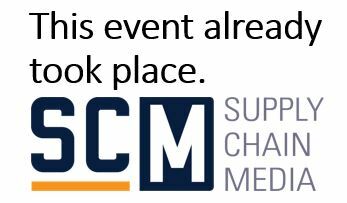 SCC is touring the Europe region to share insights gleaned from the year’s global events and also to share the latest updates in SCC development with regional supply chain leaders. SCOR® 11 (years in the works!) has just been released and a standard system for managing global supply chains using SCOR® is being developed. If you are not familiar with the global standard SCOR® (Supply Chain Operations Reference model), go here. The briefings are scheduled to be quick, convenient and almost no cost to you – not to miss! Executive Director Joseph Francis, Supply Chain Council, United States – one of the world’s most popular speakers on supply chain management – will be the speaker for all locations. During the first hour, key elements of high performing supply chains in successful global organizations will be shared and a hands-on workshop will follow for those who have time to stay for another hour. In the workshop, attendees will explore how to develop a supply chain strategy for part of your supply chain, including a supply chain performance SCORcard with a set of performance requirements that you can leverage in the coming business year.